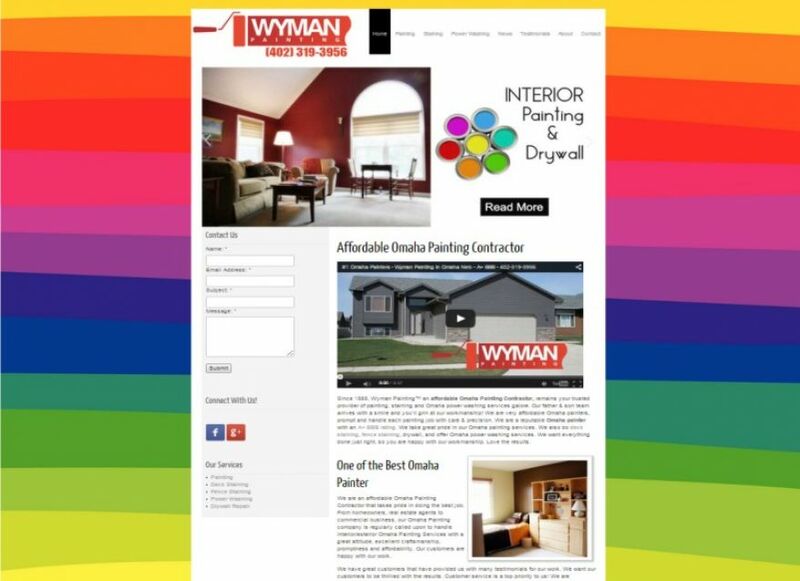 Stern PR Marketing Firm Omaha re-branded Wyman Painting’s image. The process began with a custom logo, slogan creation and website copywriting. We developed the website design, the graphics, shot custom photography, consistently write fresh content marketing blog articles monthly and manage social media platforms. We handled creative Omaha video production.